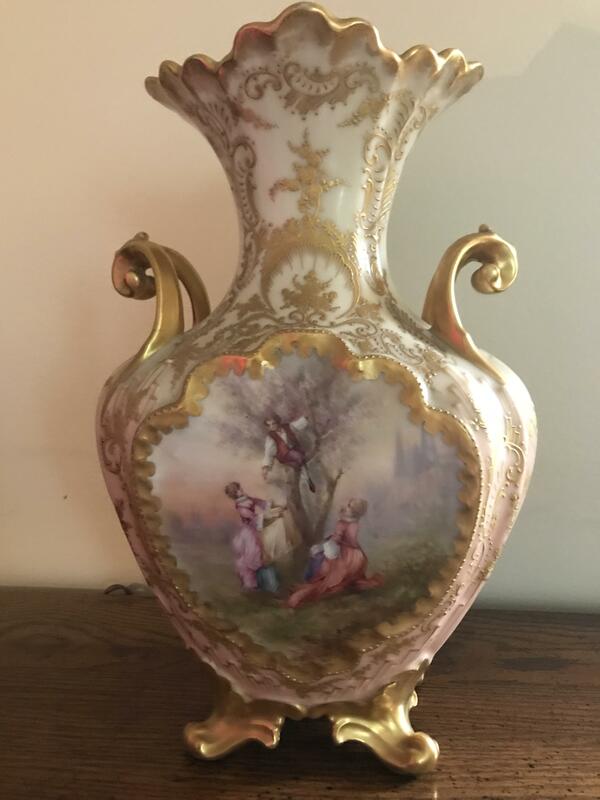 Rapheal Weill - San Francisco was the importer of this piece. 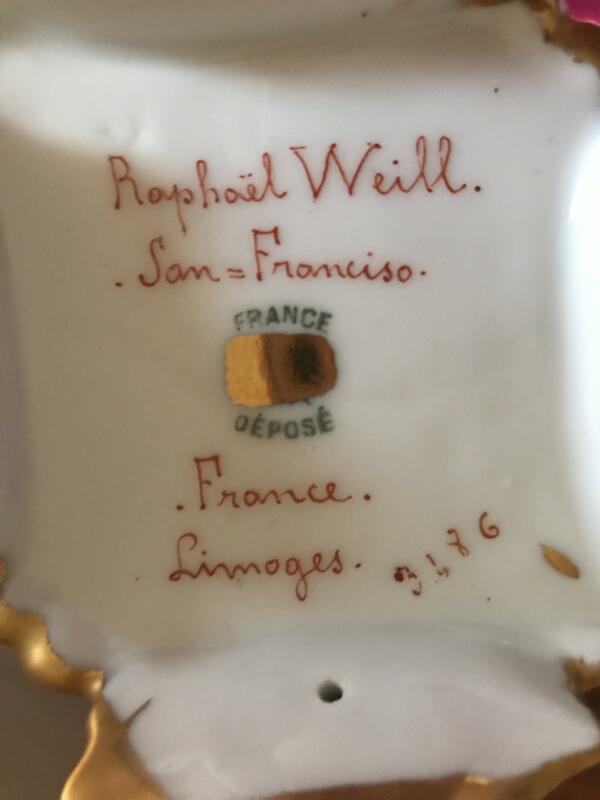 Circa 1920 - Origin Lamoge France / San Francisco US. During this time post Great Depression there were over 40 factories in France producing pieces for export. Sometimes these pieces were white wares / blanks. This piece with its painting and guilding looks to me to have been painted in France. 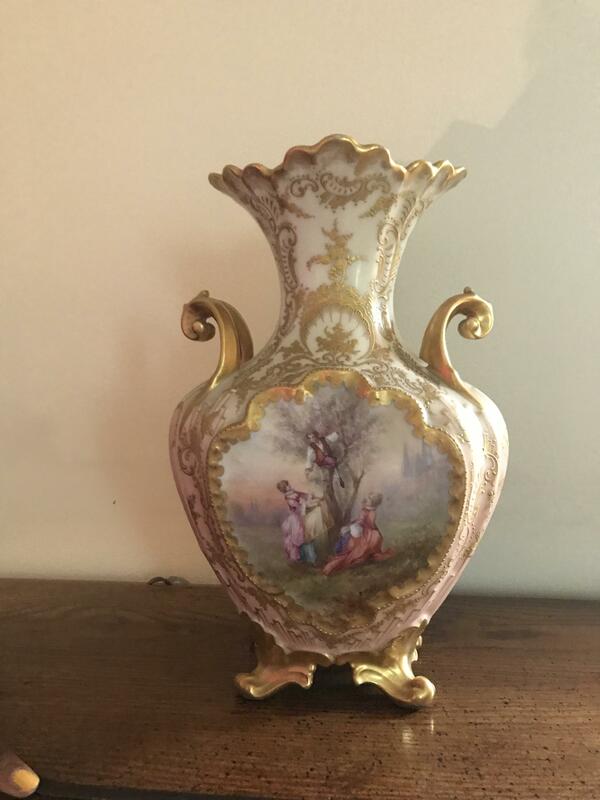 Not knowing the size of the piece leaves me too many questions to valuate it as there are many minitures out there. One thing I have read in my research is that there are not too many fake pieces of this nature. Many of the pieces during this time were tablewares.